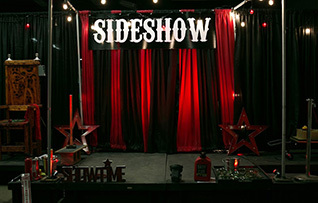 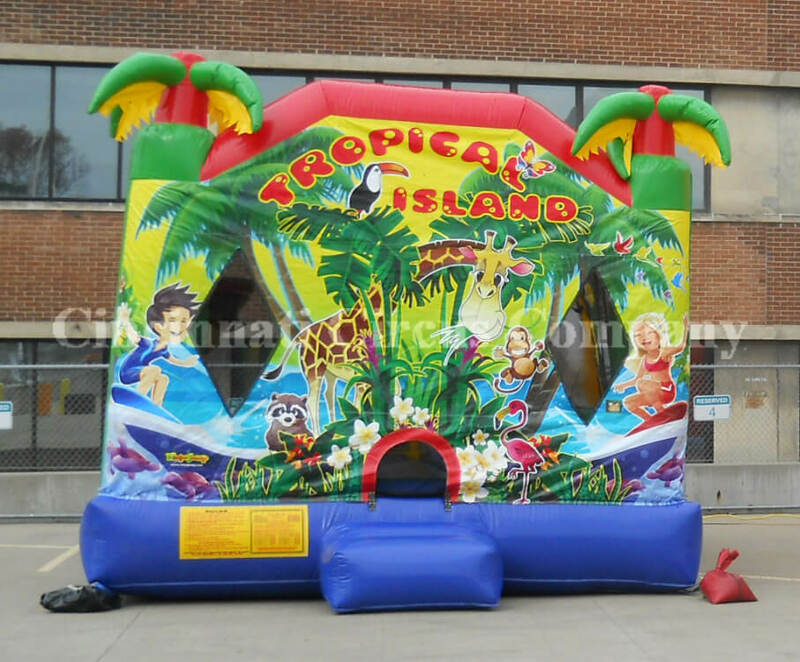 Cincinnati Circus offers a wide range of inflatables in a variety of sizes and styles. 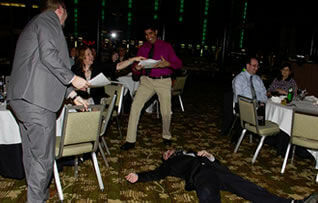 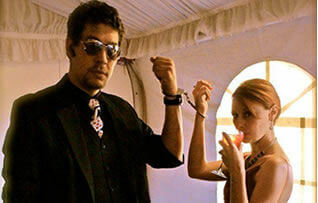 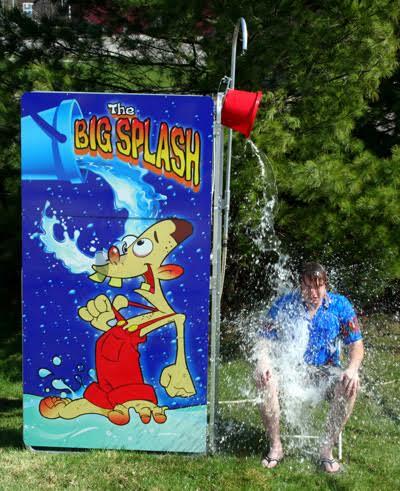 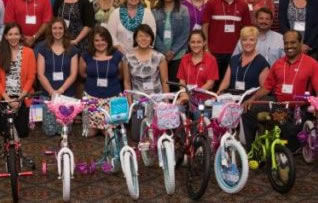 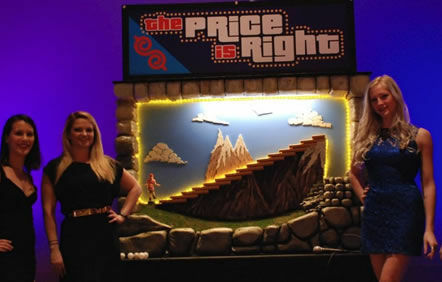 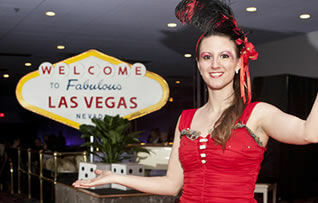 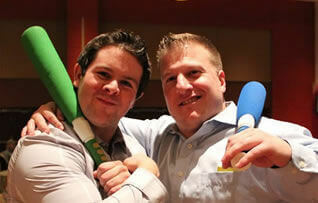 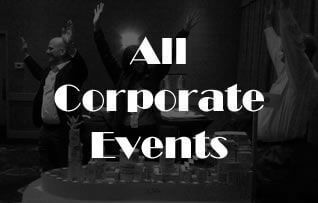 We also offer package deals for larger corporate and organizational events. 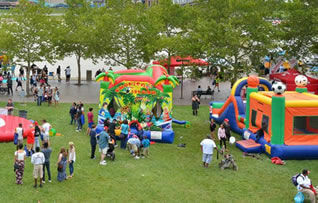 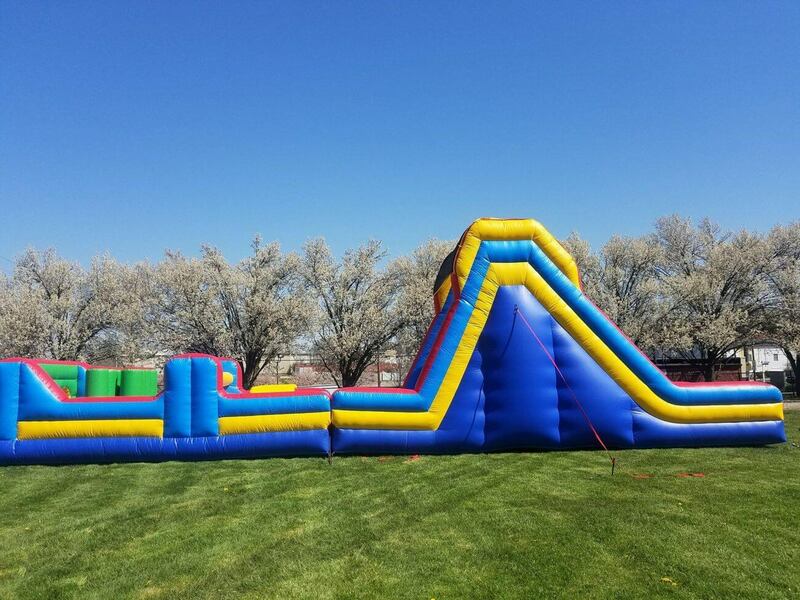 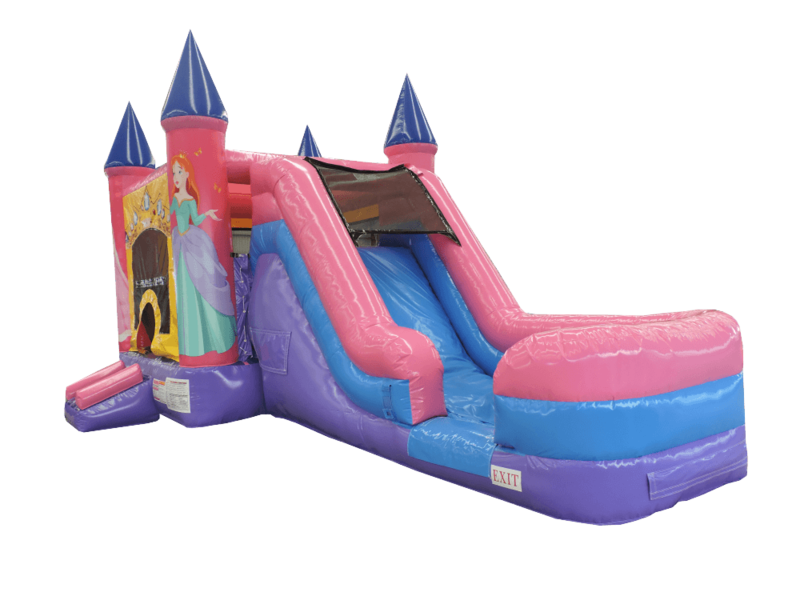 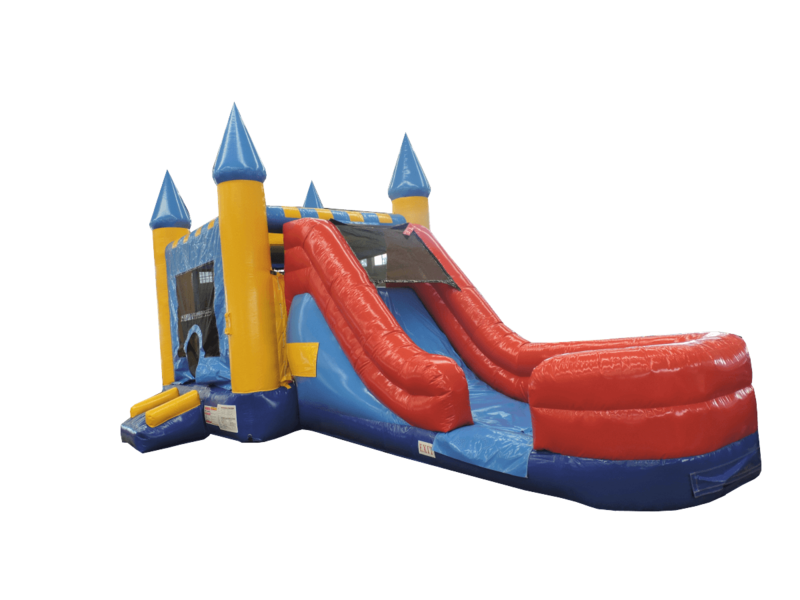 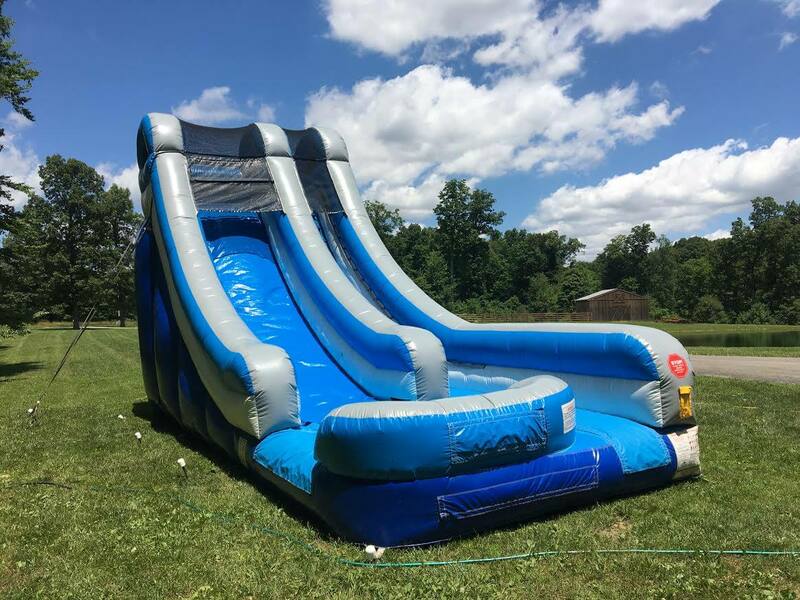 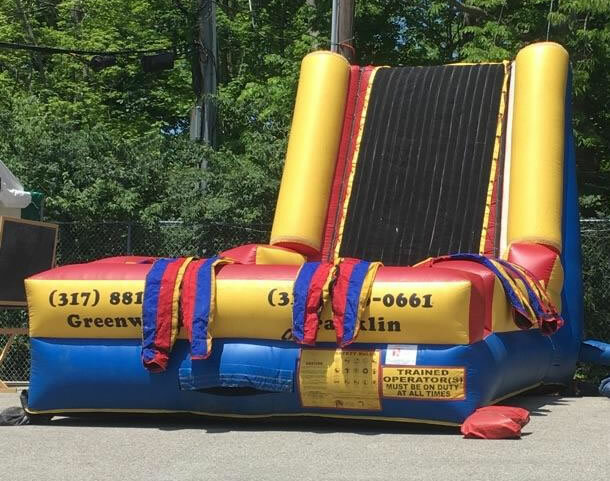 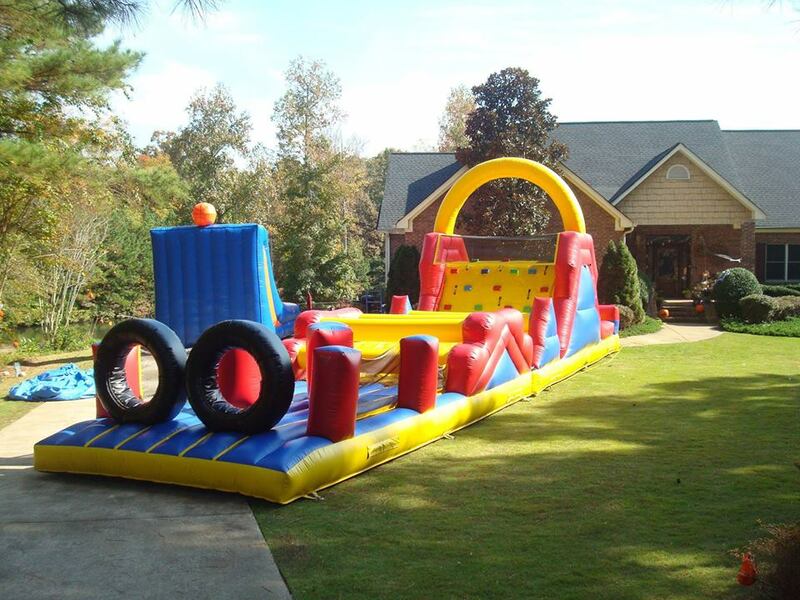 Contact us to discuss your inflatable slide, obstacle course, bounce house, or water ride needs today! 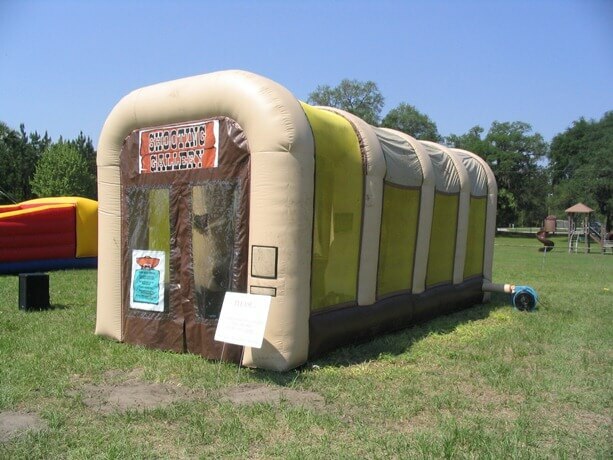 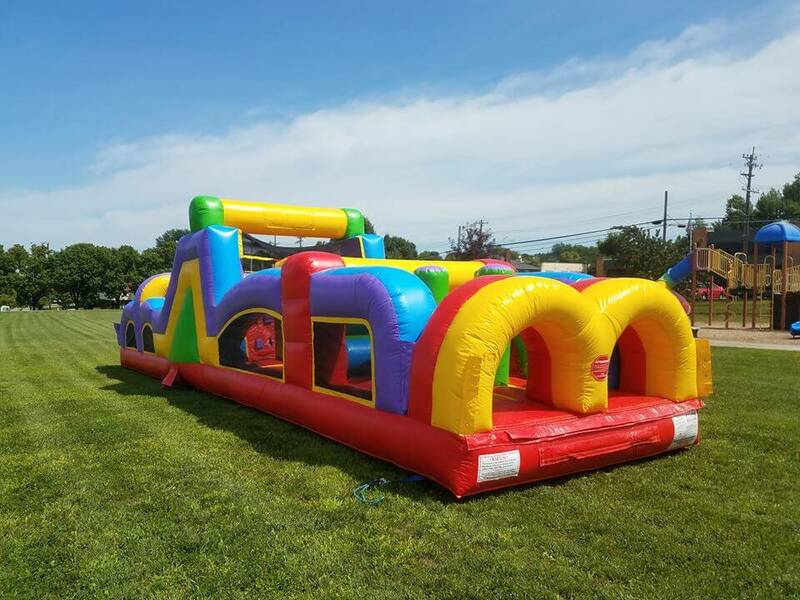 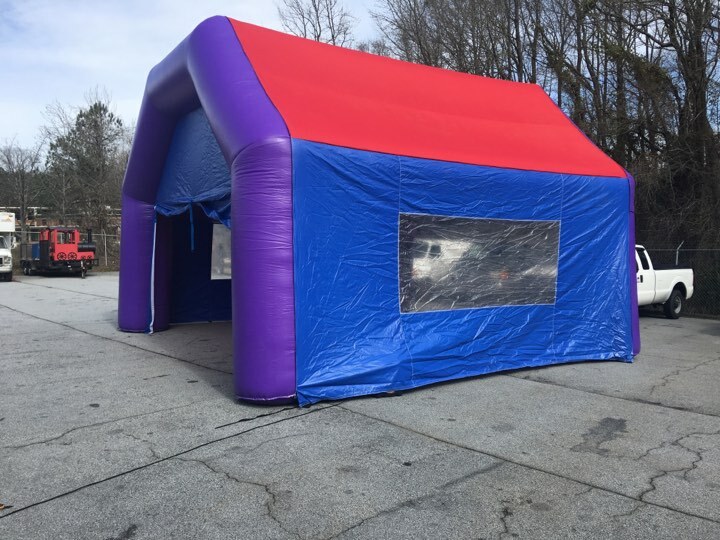 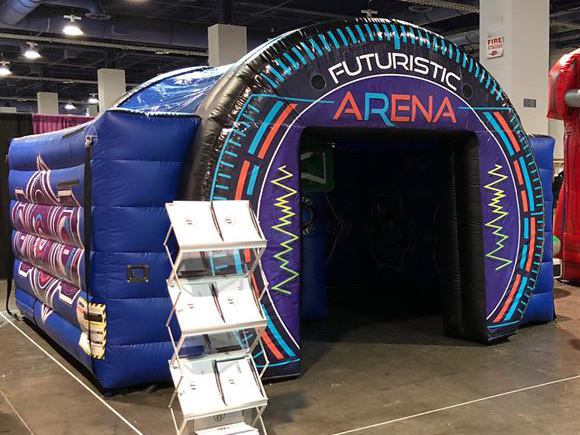 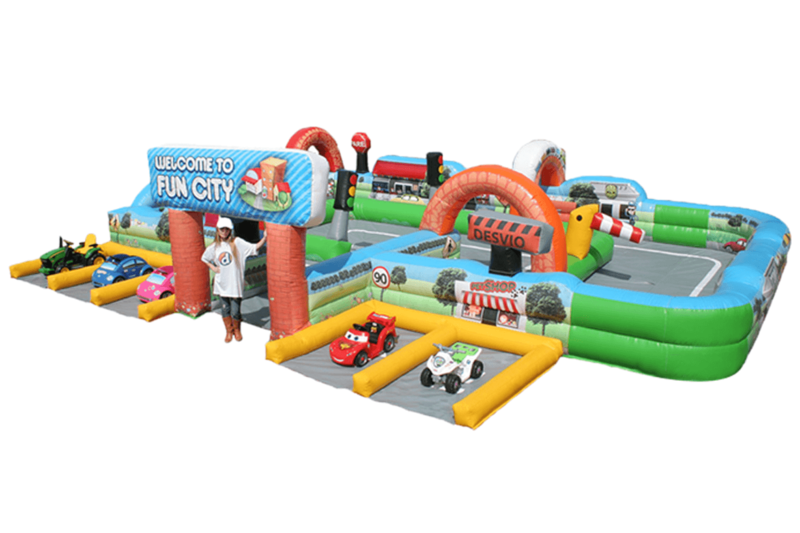 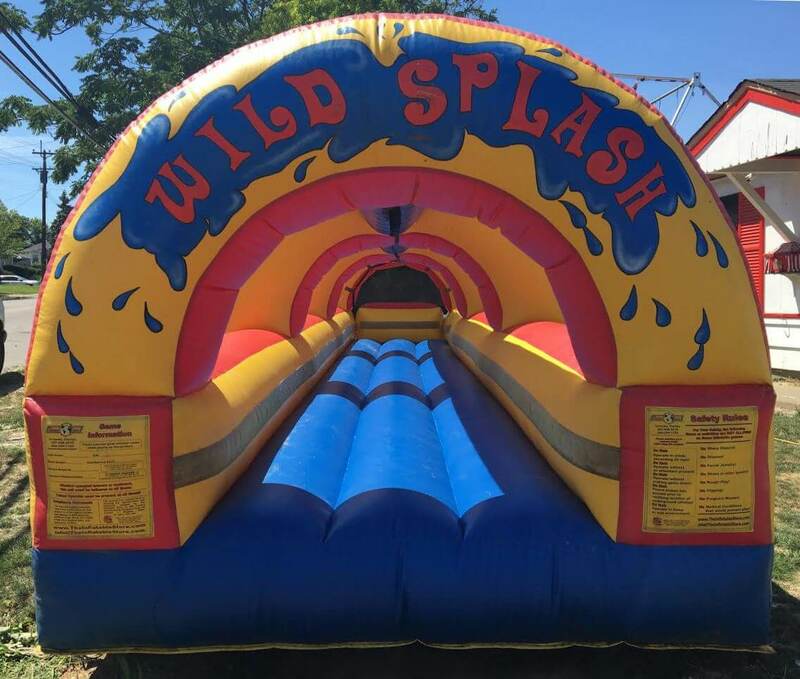 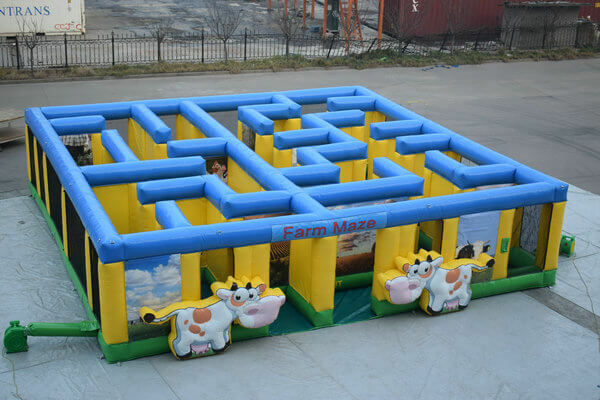 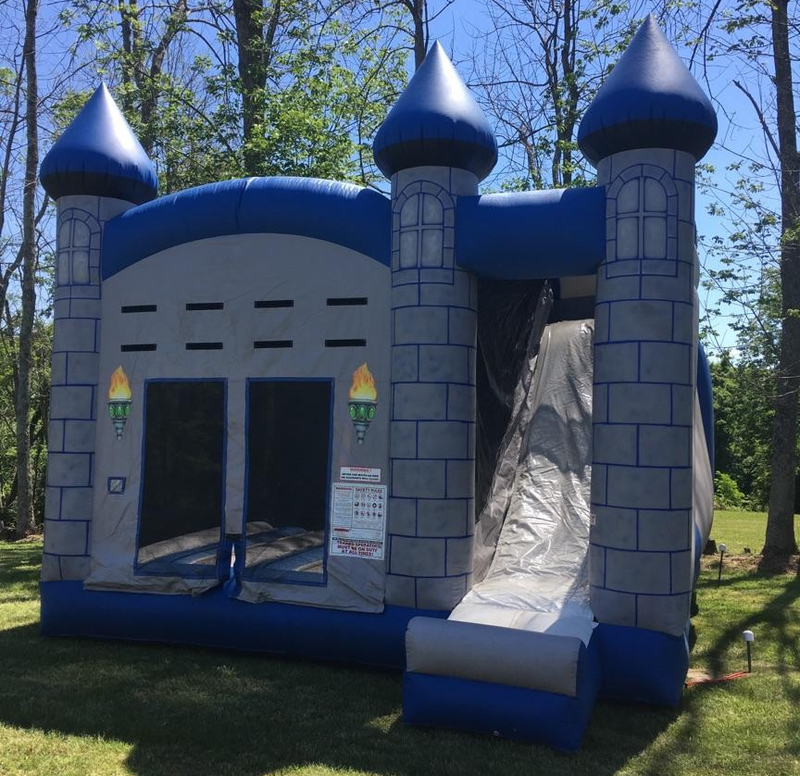 Navigate to any of out inflatable galleries, or scroll to see our entire selection of inflatable bounce houses, slides, obstacle courses, water rides & games! 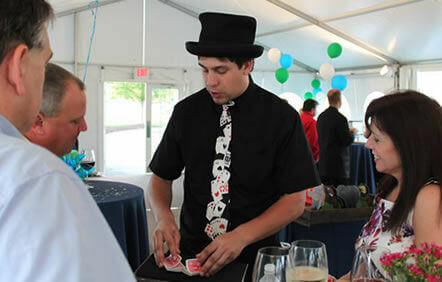 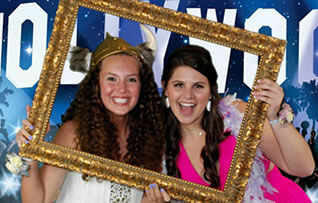 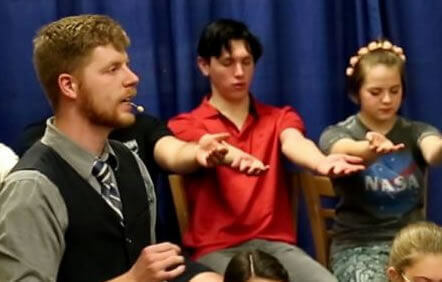 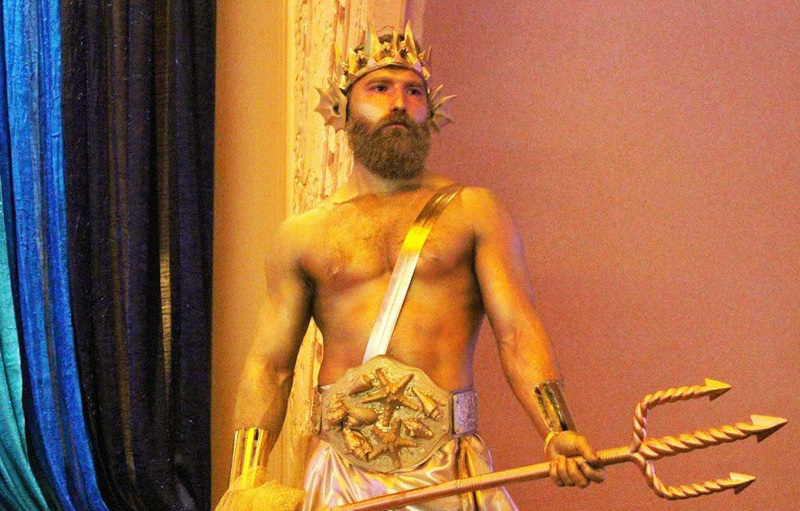 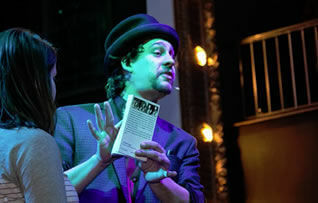 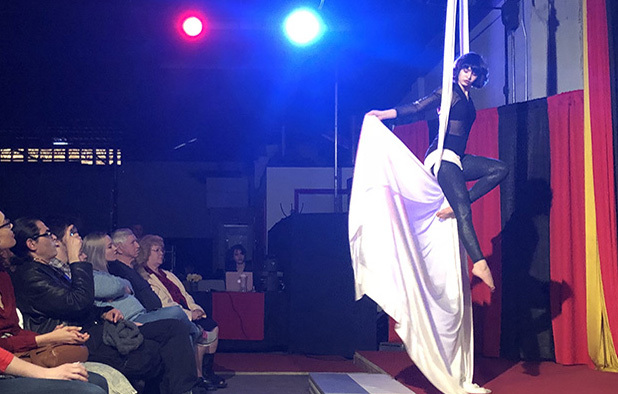 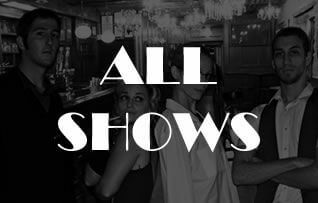 We'd like to work with you at your next event. 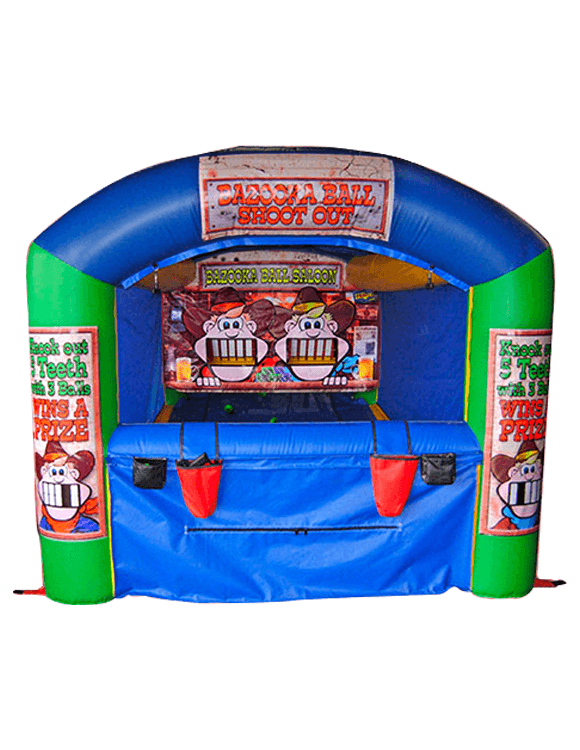 Inflatable Bounce Houses are always a welcome addition to any party or event. 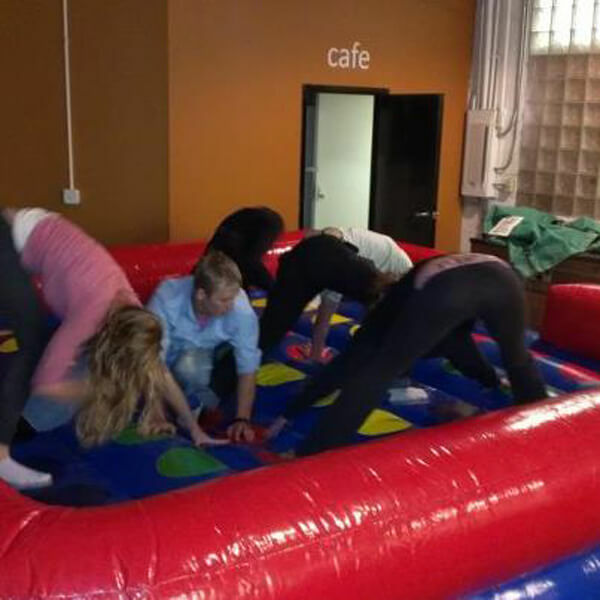 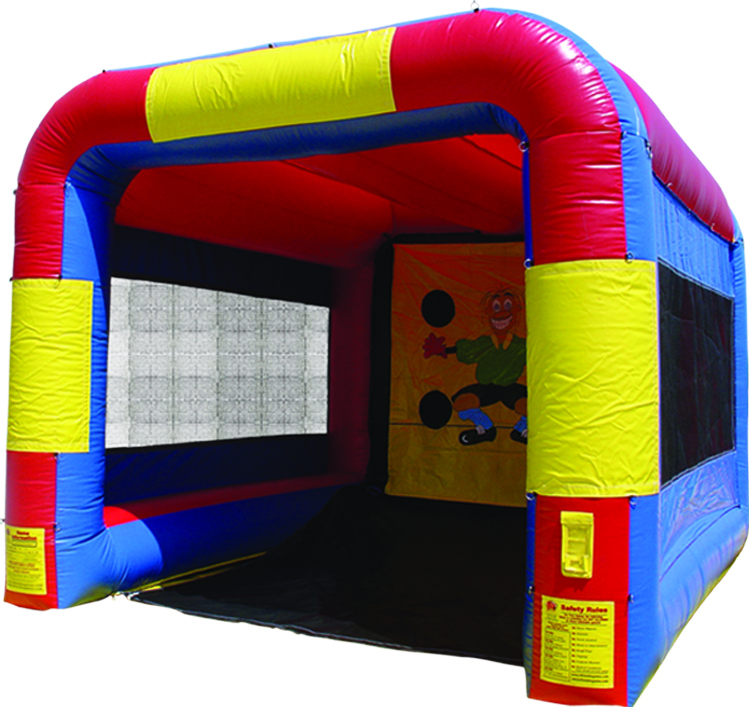 Most children love to bounce, and many adults do too! 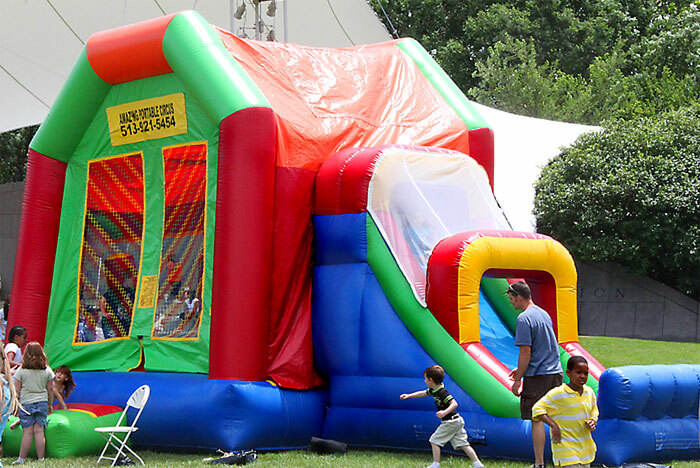 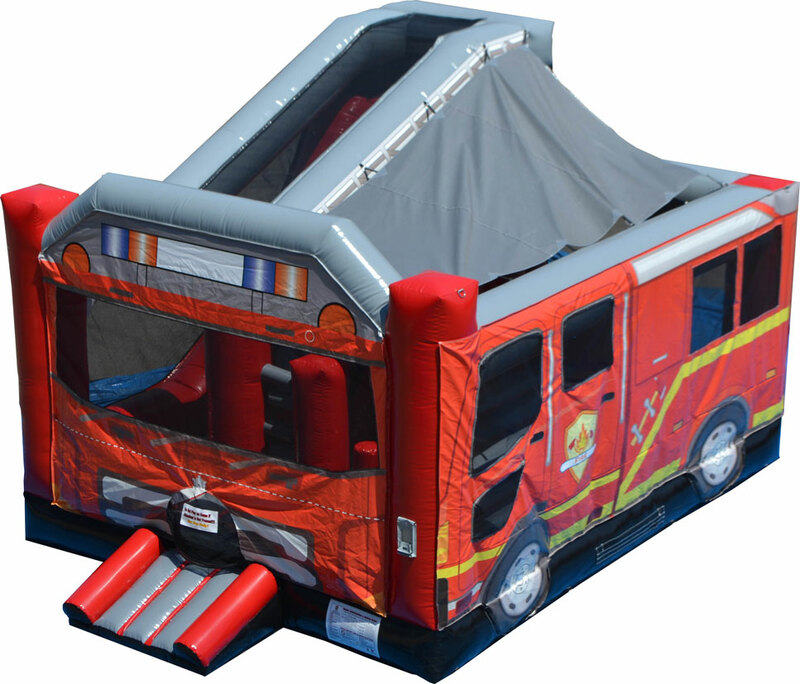 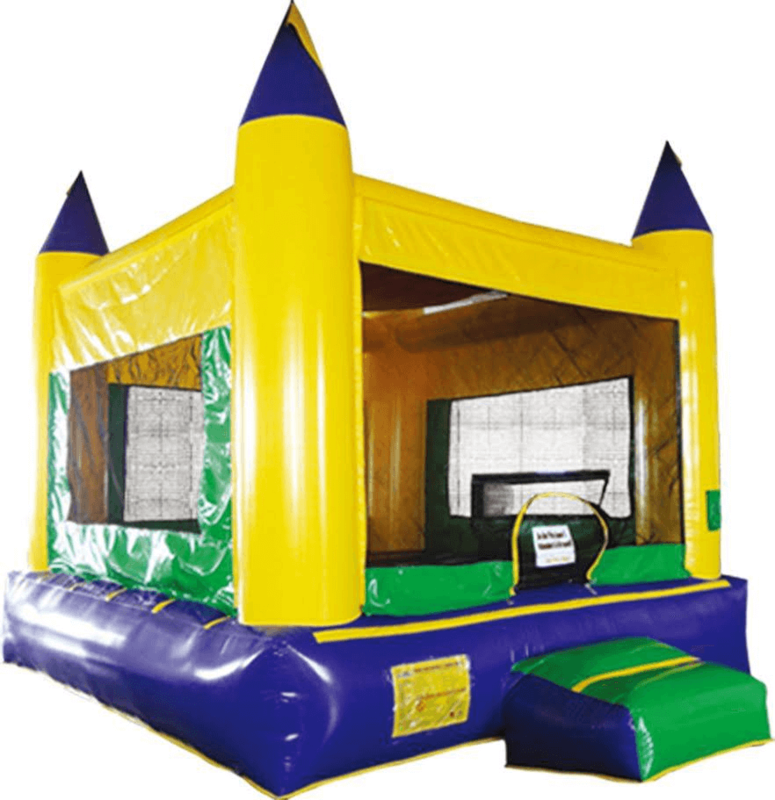 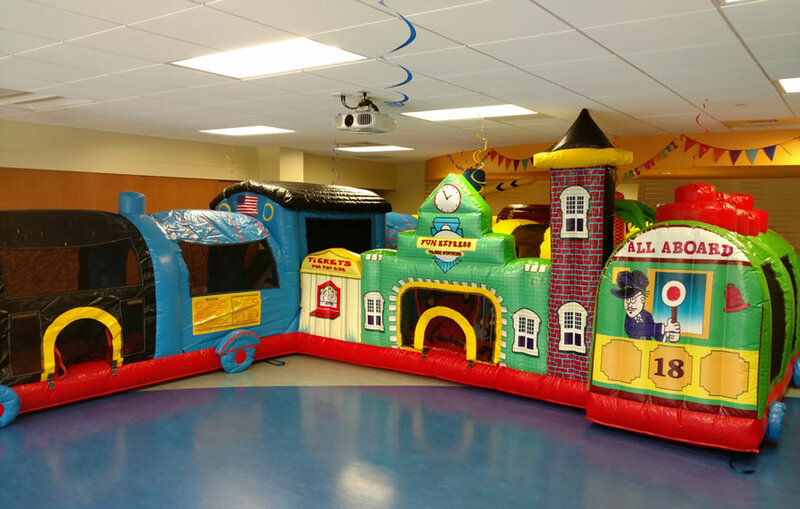 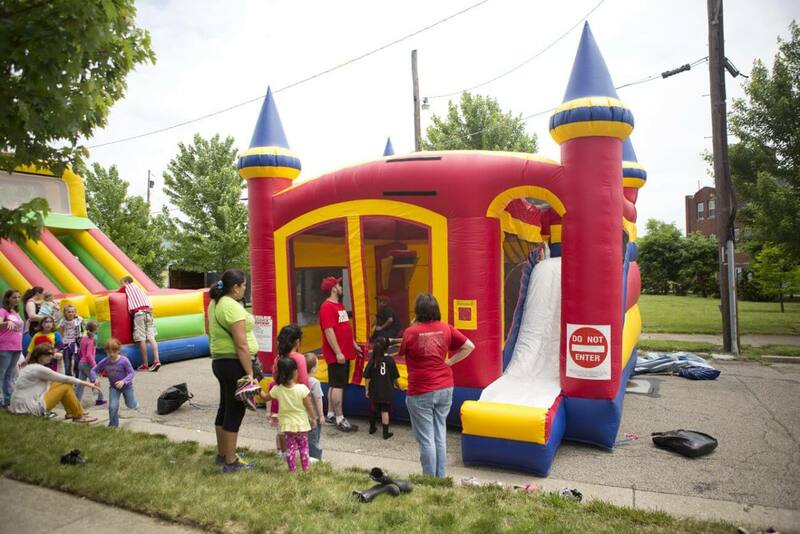 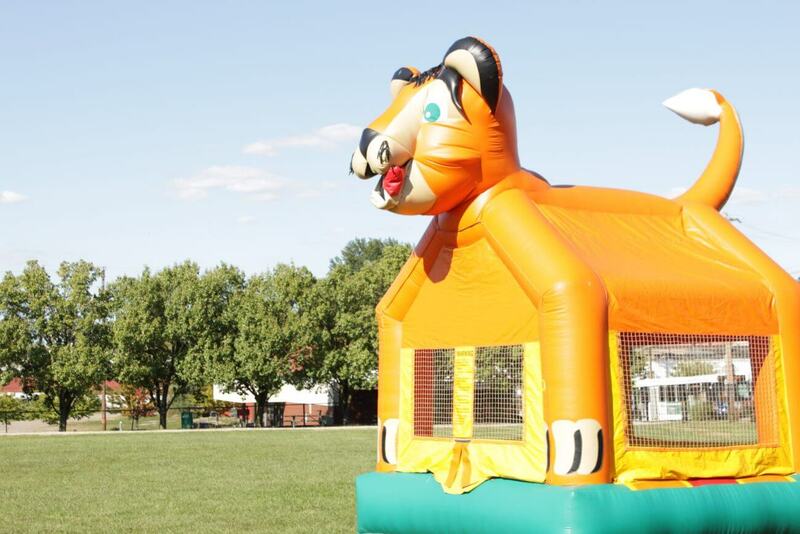 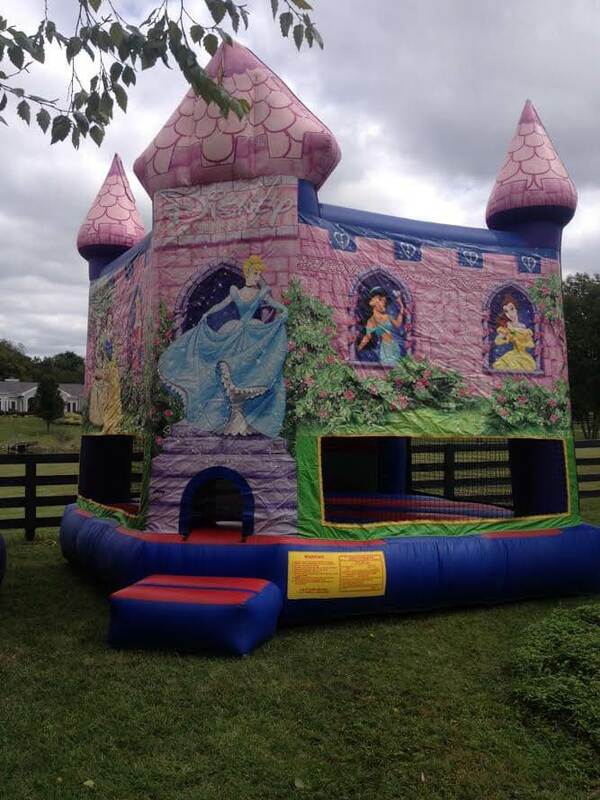 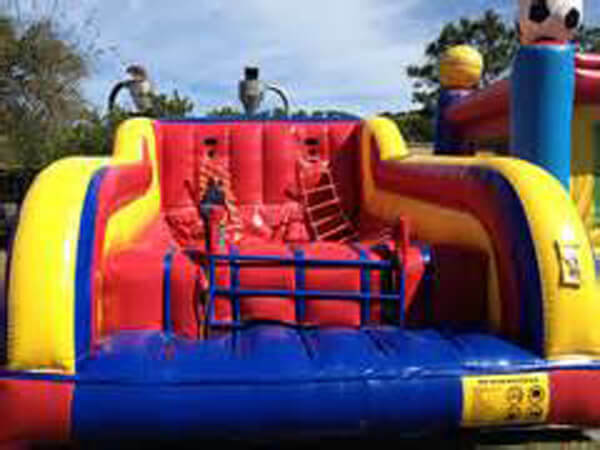 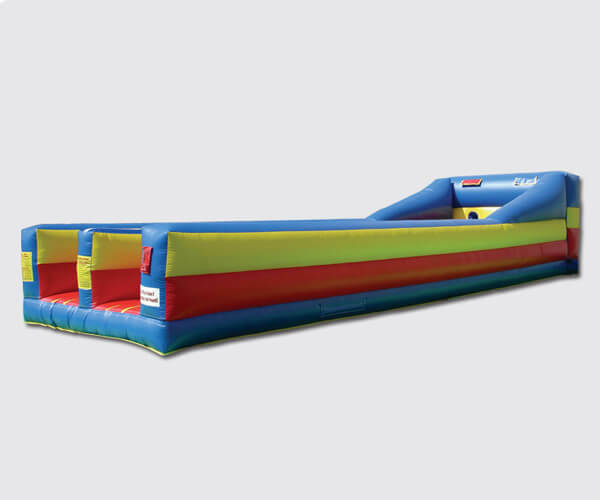 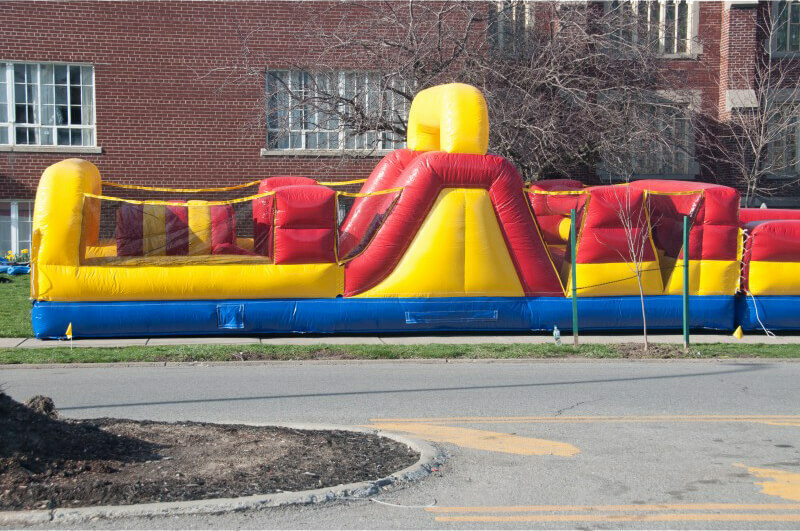 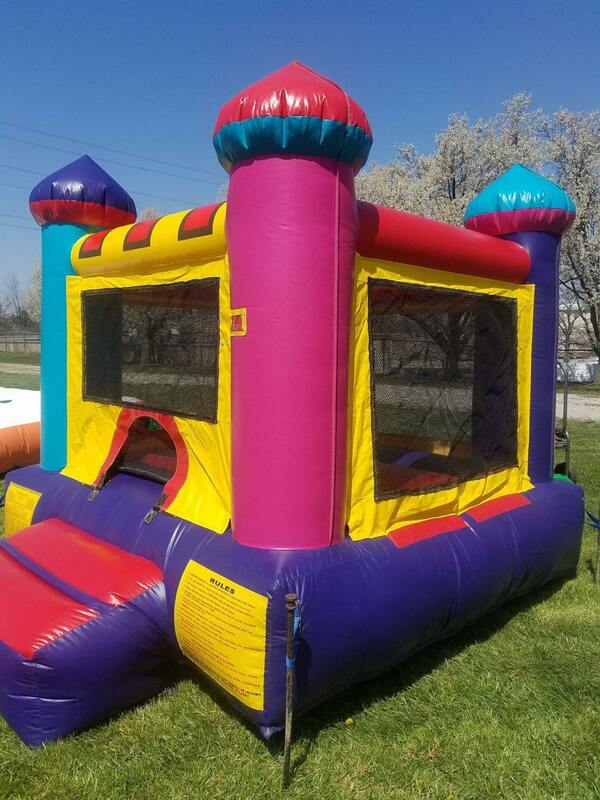 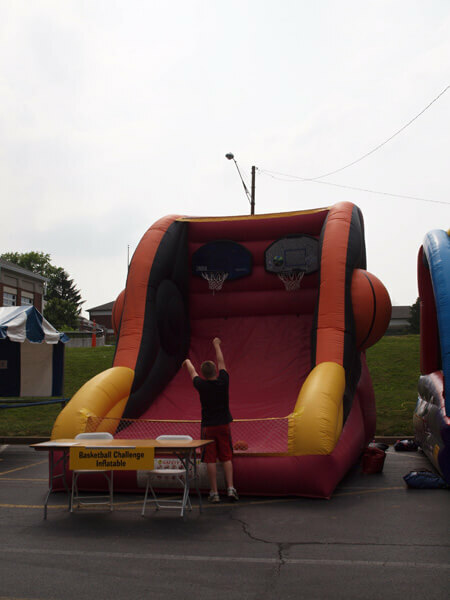 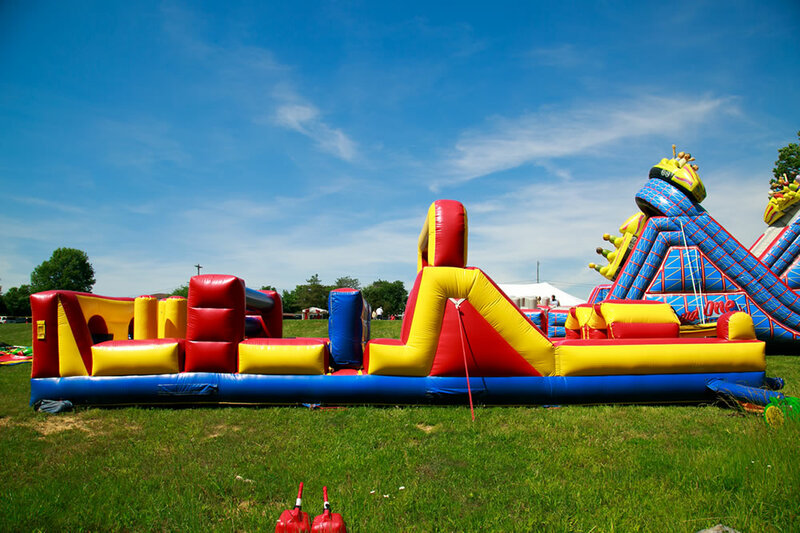 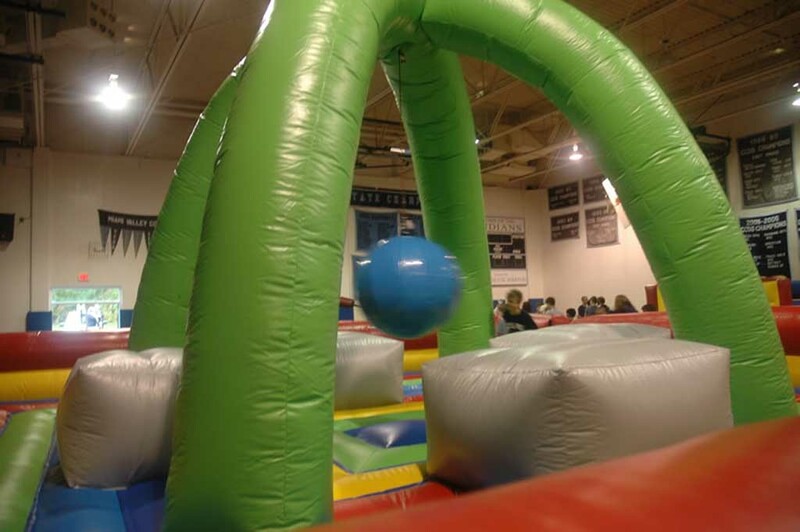 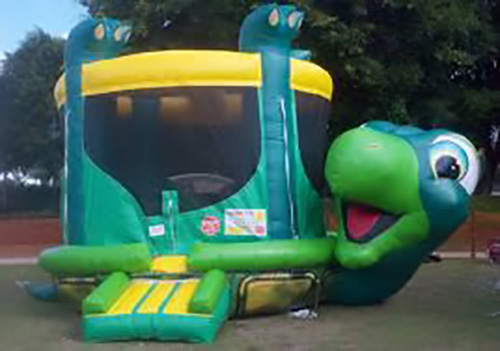 Double the fun at your event with any of our Bounce House and Slide combo inflatbales. 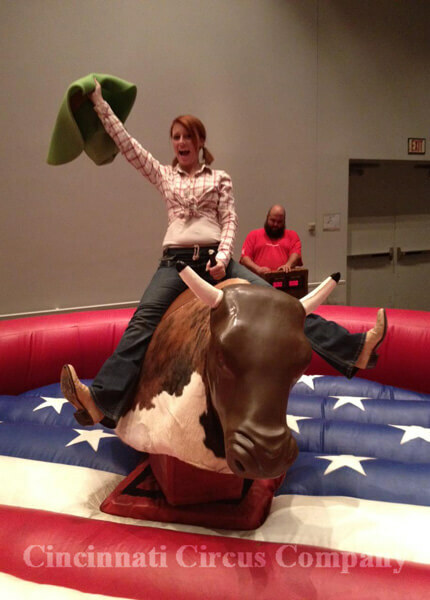 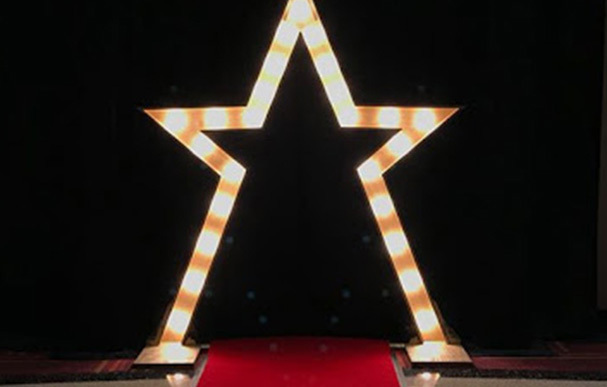 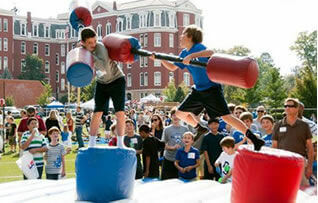 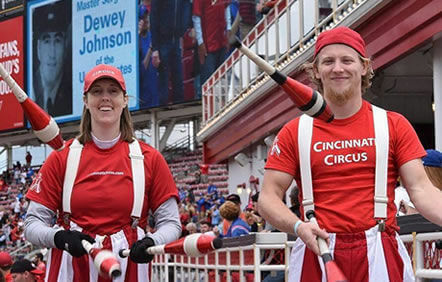 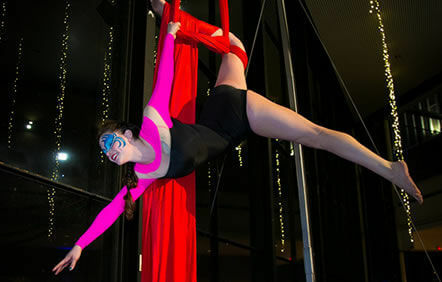 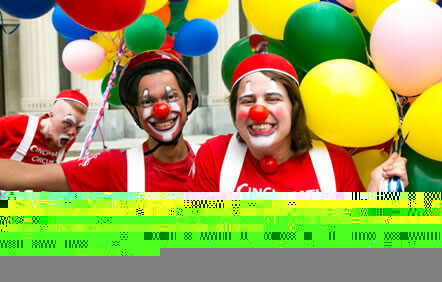 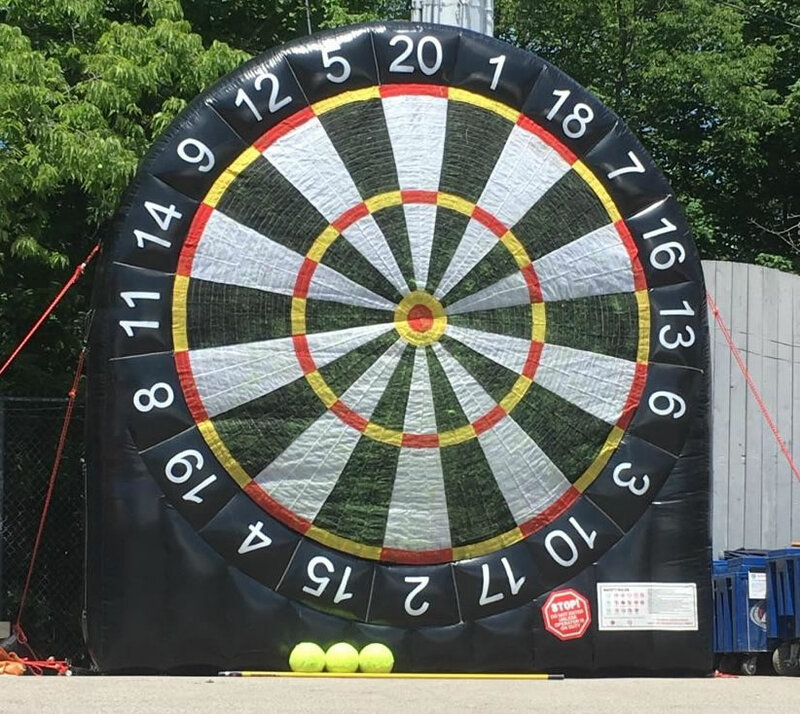 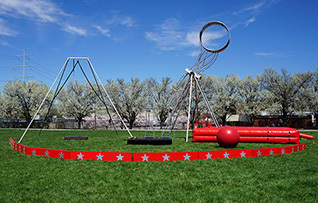 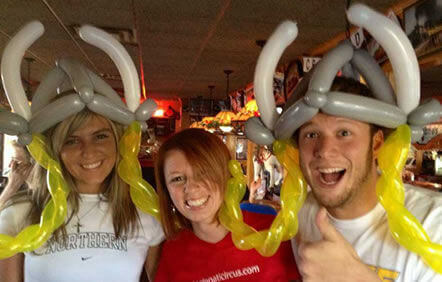 Cincinati Circus is dedicated to bringing the most inflatbale fun to your event! 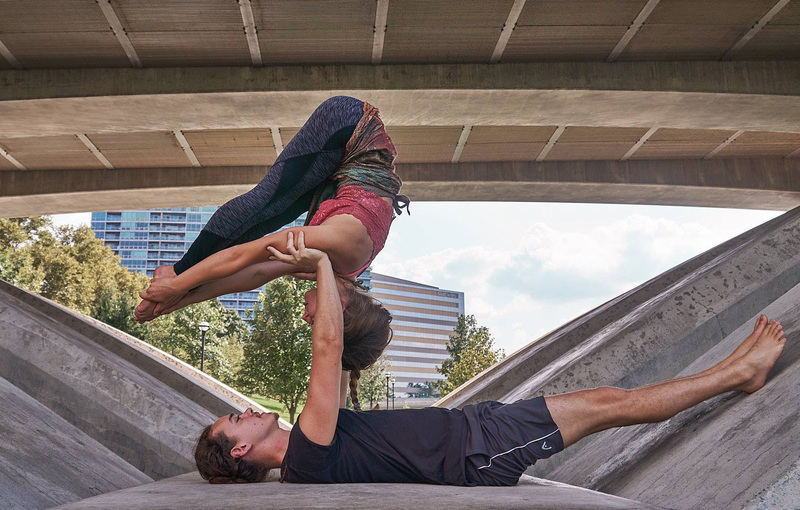 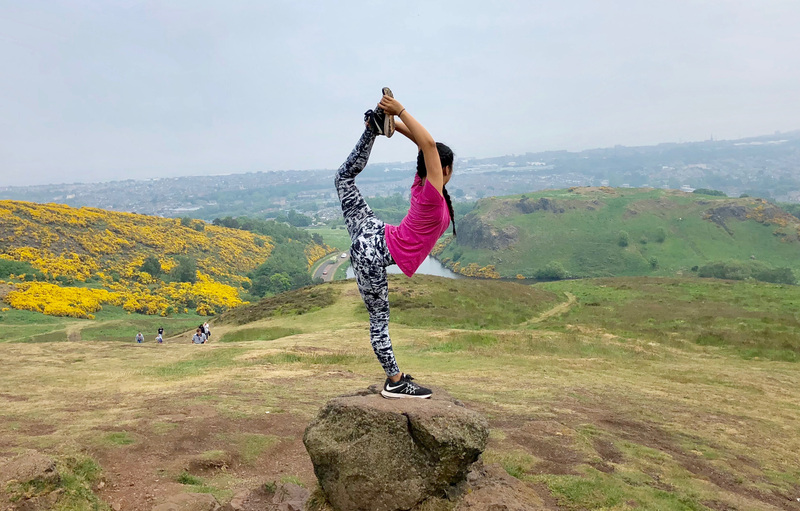 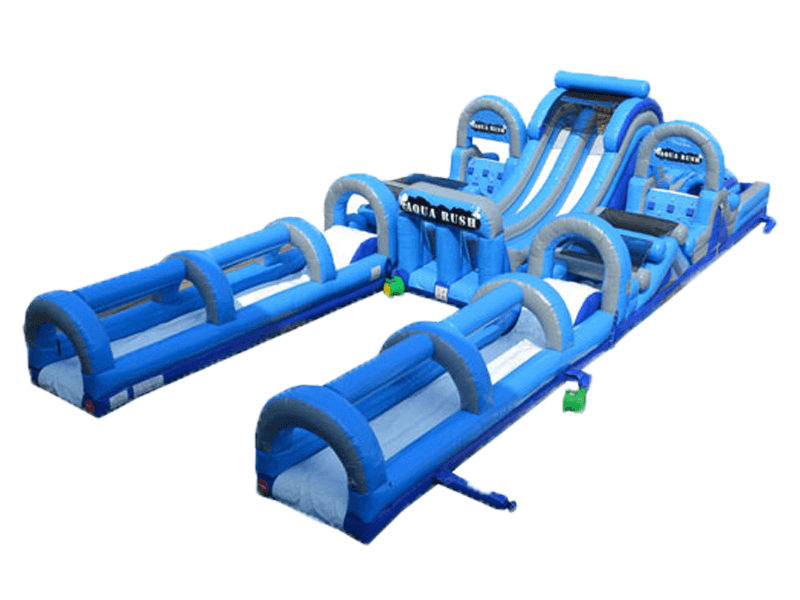 Looking for something awesome? 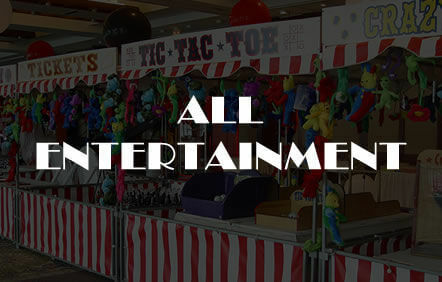 Something that will entertain and thrill all at the same time? 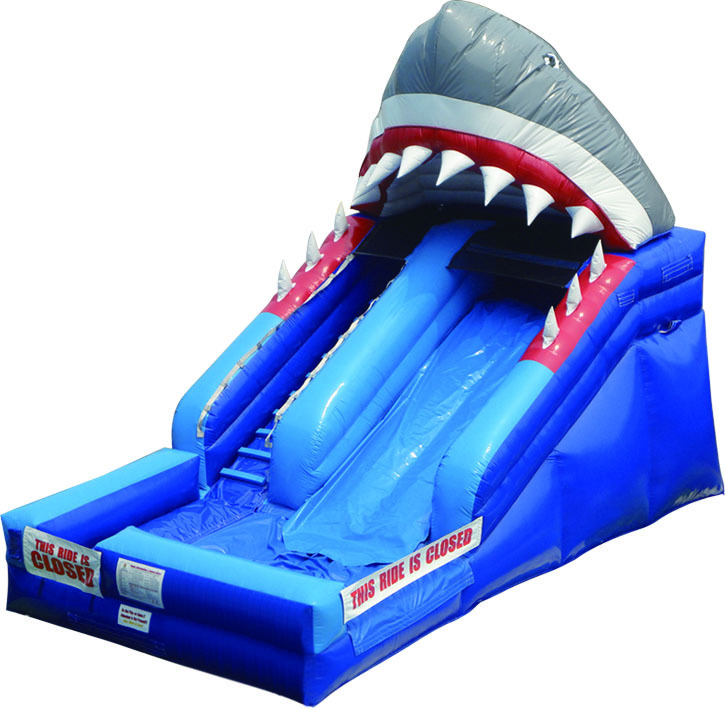 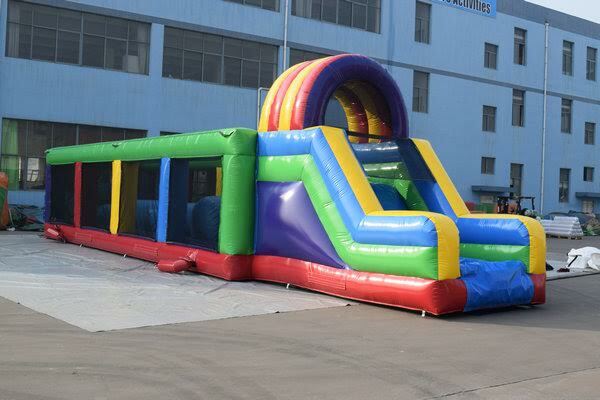 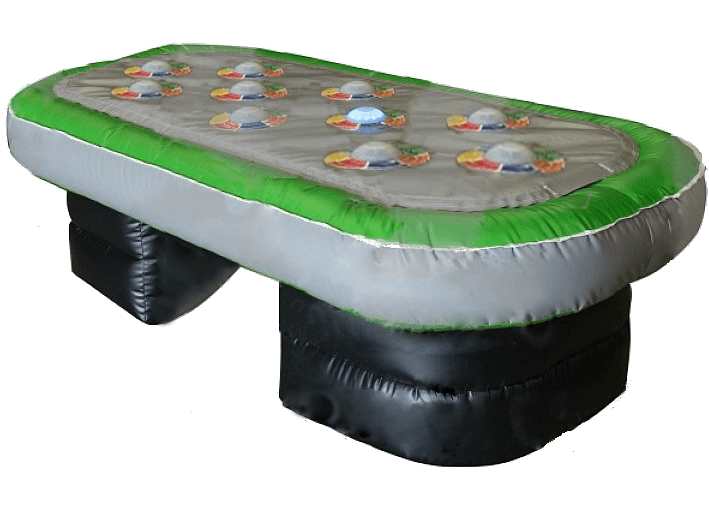 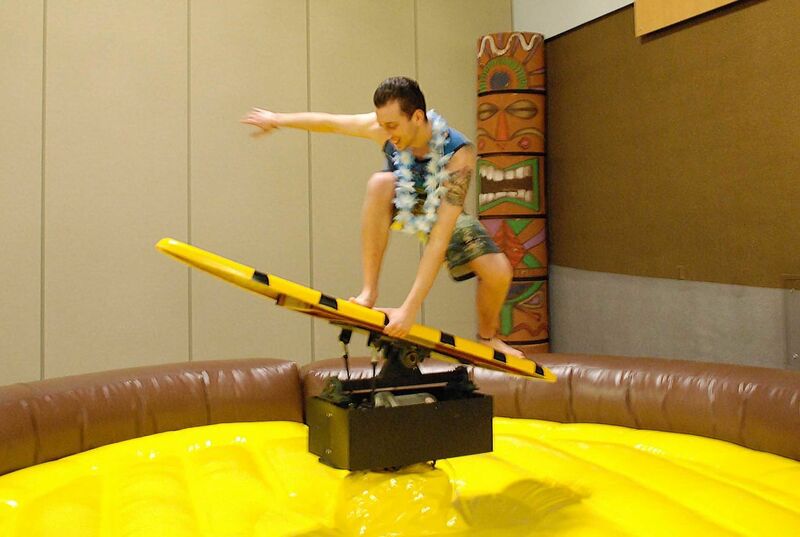 We offer several different types of inflatable slides – both Dry and Wet. 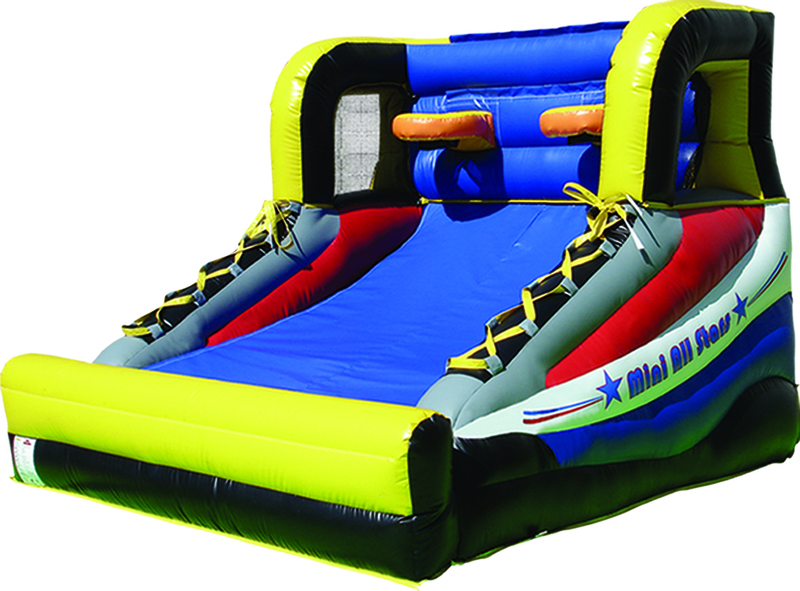 Inflatable slides and water slides can be enjoyed by children and adults. 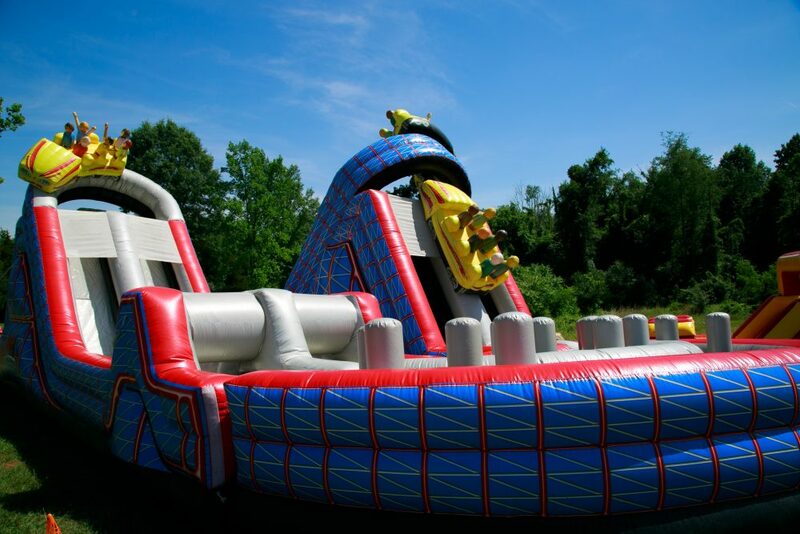 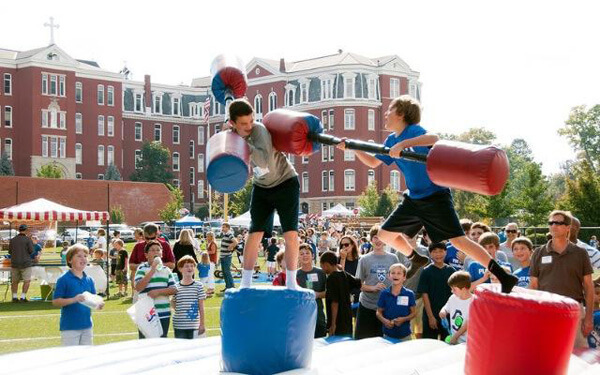 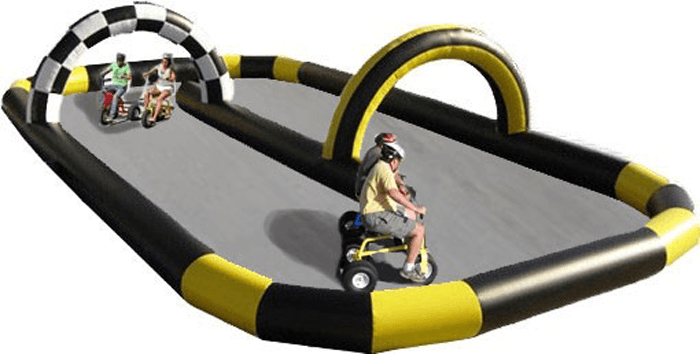 Inflatable obstacle courses are as much fun as they are eye catching. 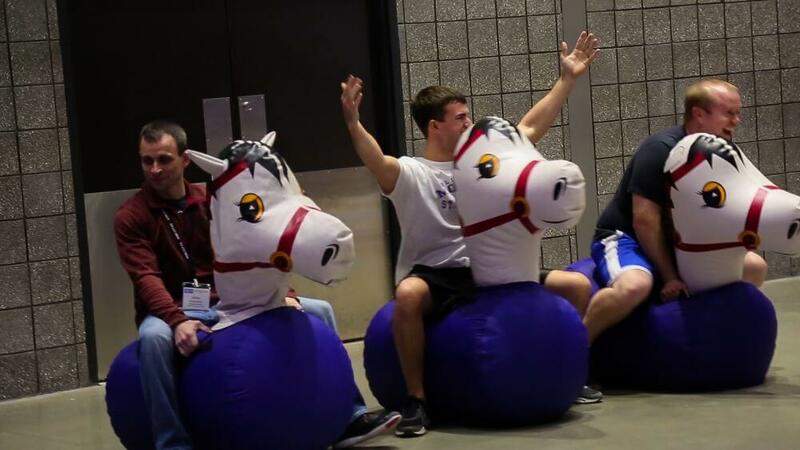 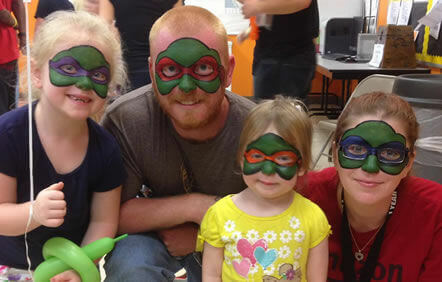 They can bring out the kid in all of us! 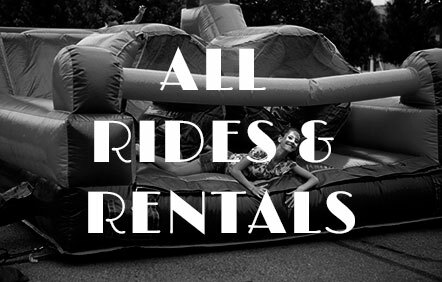 Various sizes available to cater to your event. 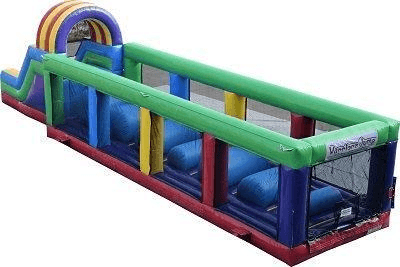 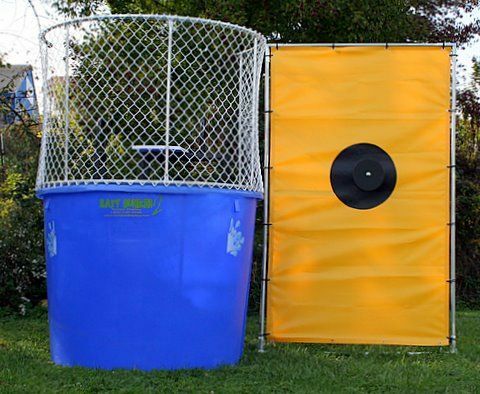 A great addition to a moon bounce or jumper combo. 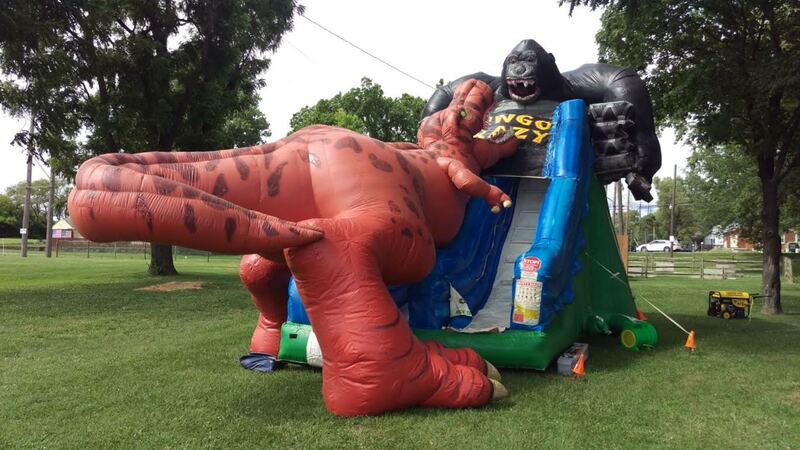 Rated for children and adults. 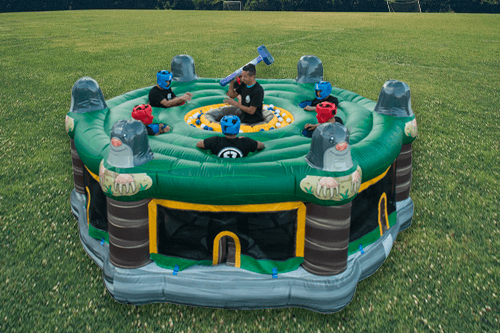 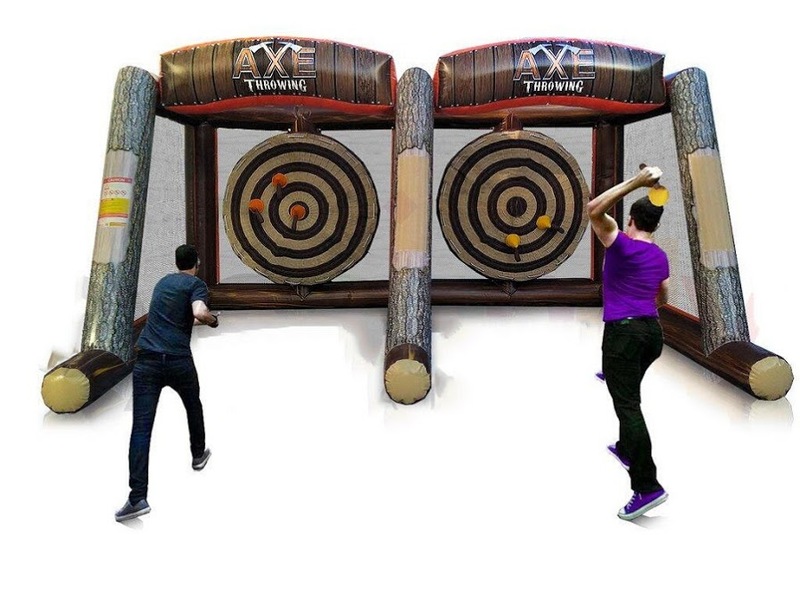 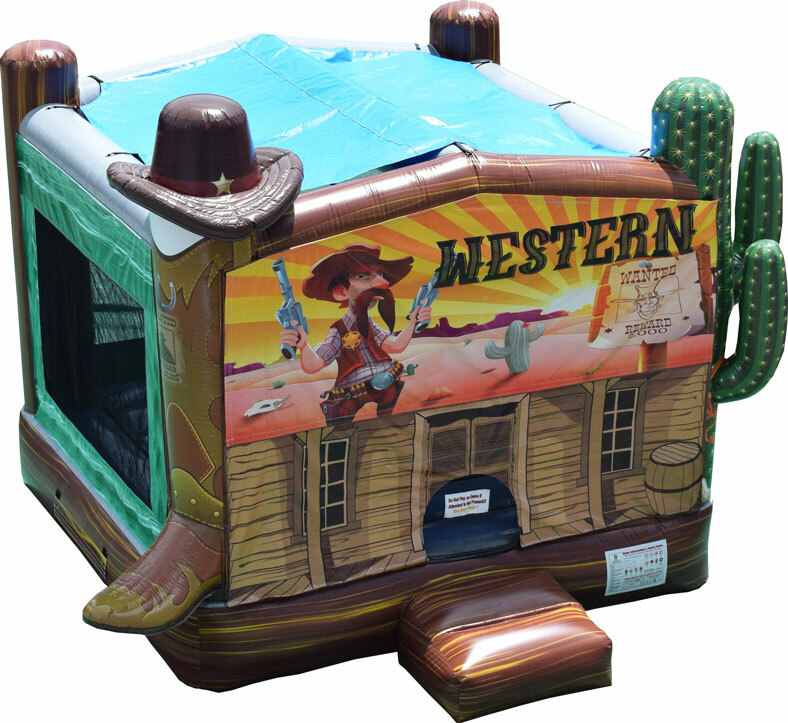 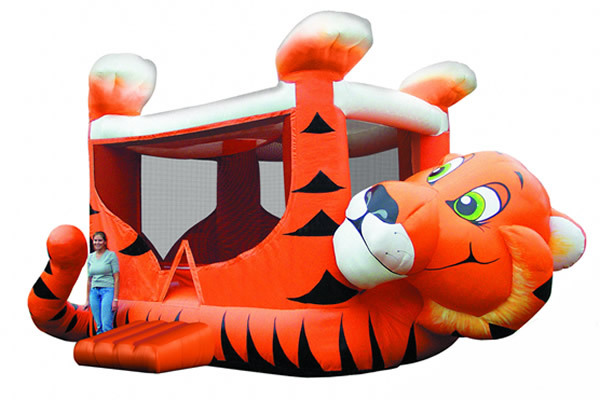 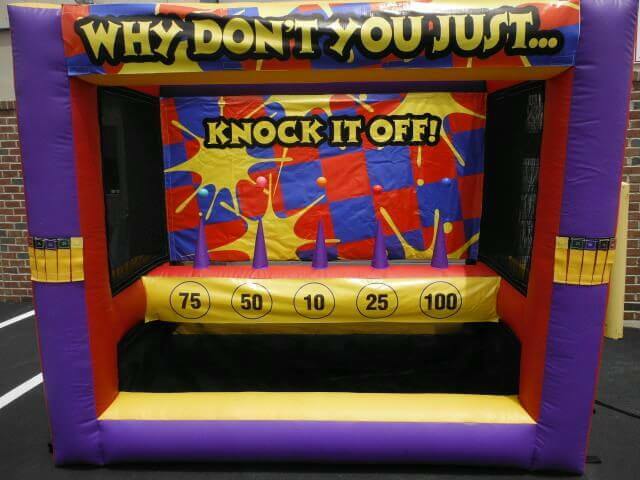 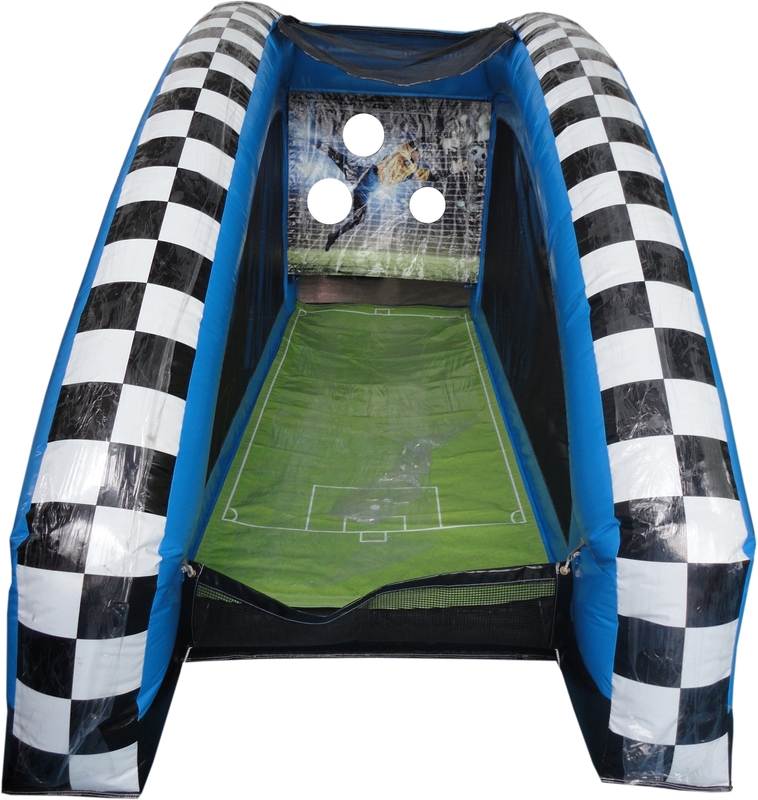 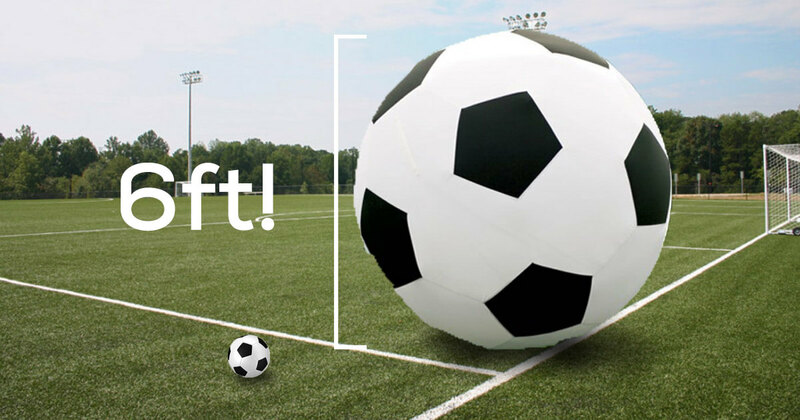 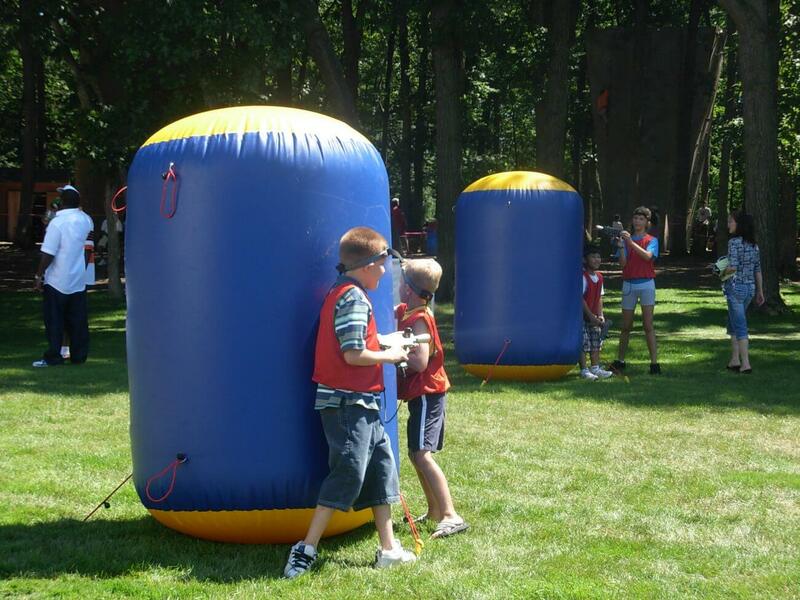 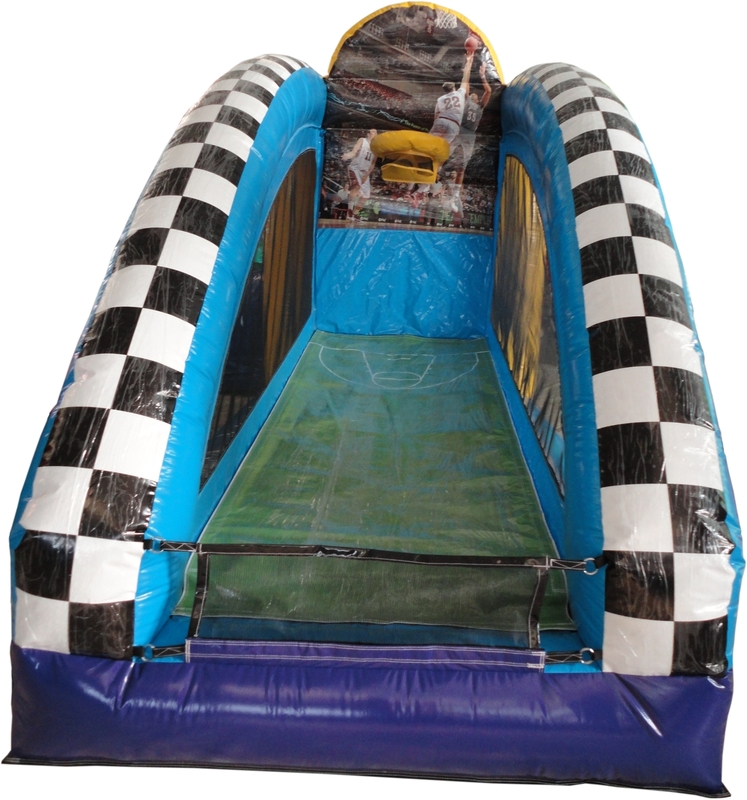 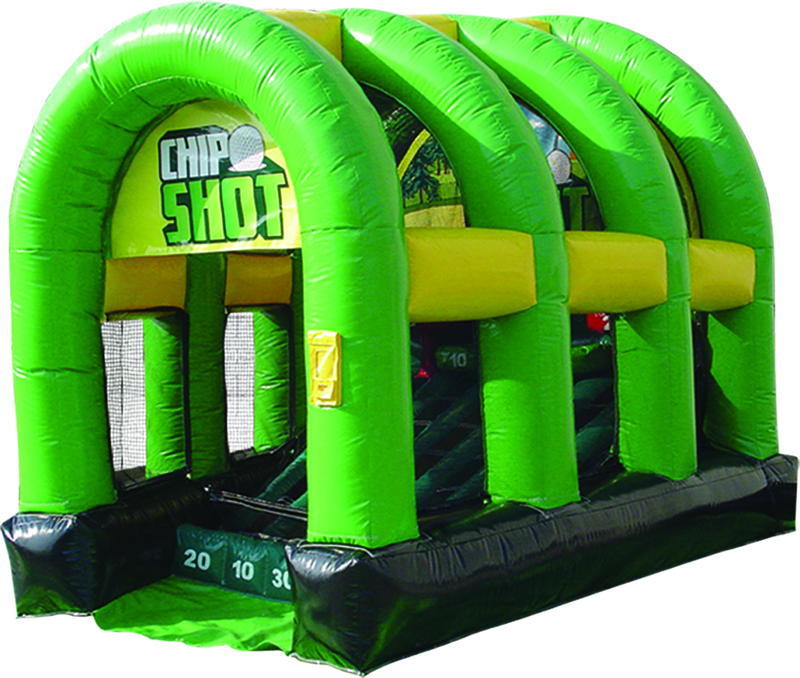 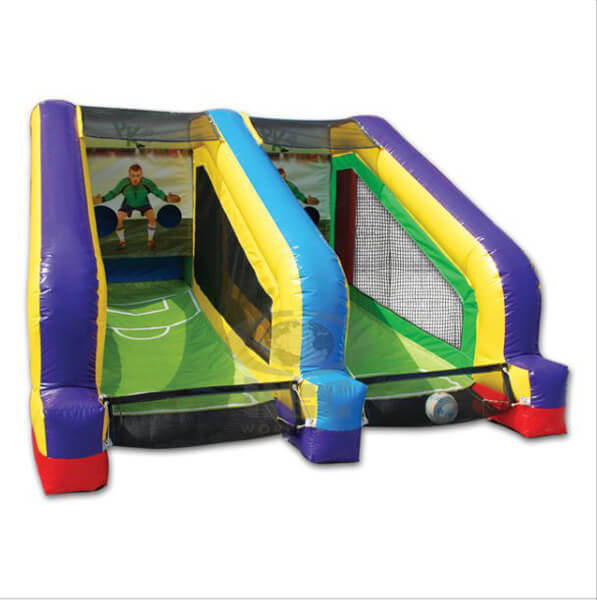 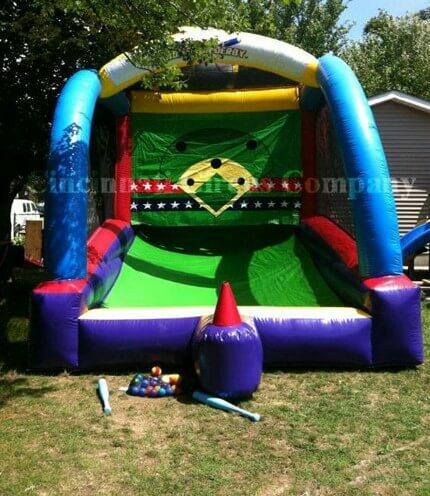 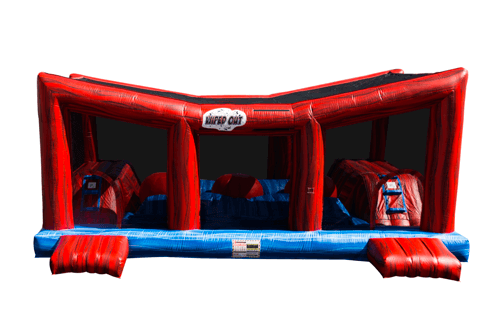 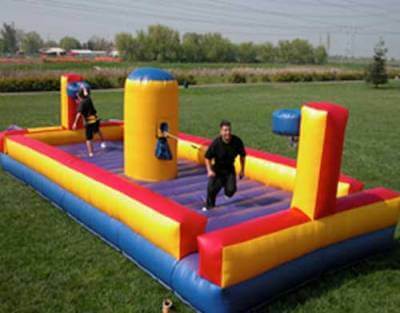 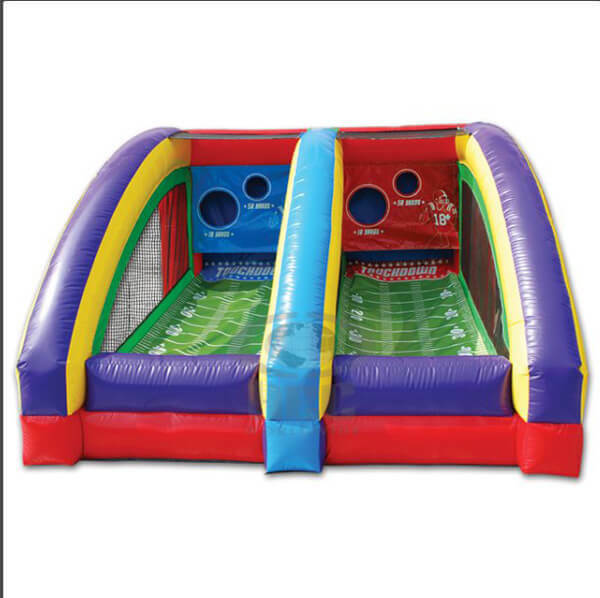 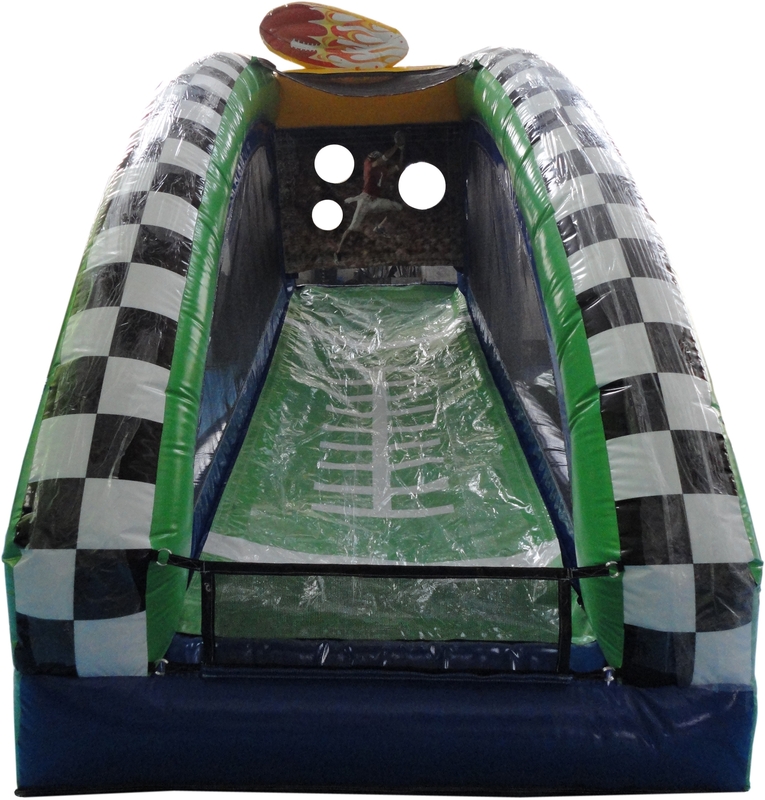 We also have a huge selection of inflatable games avalble for rent. 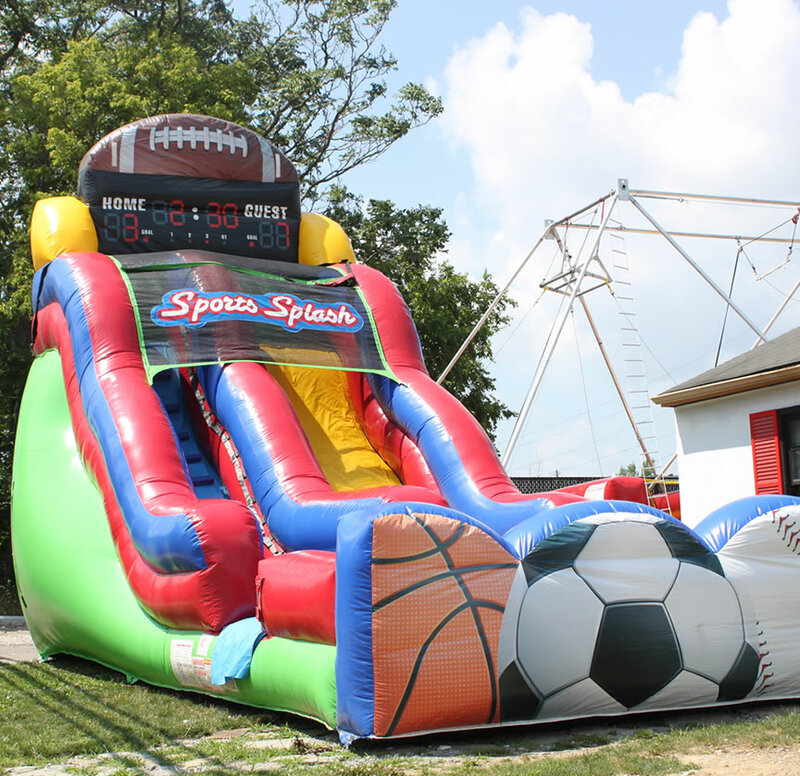 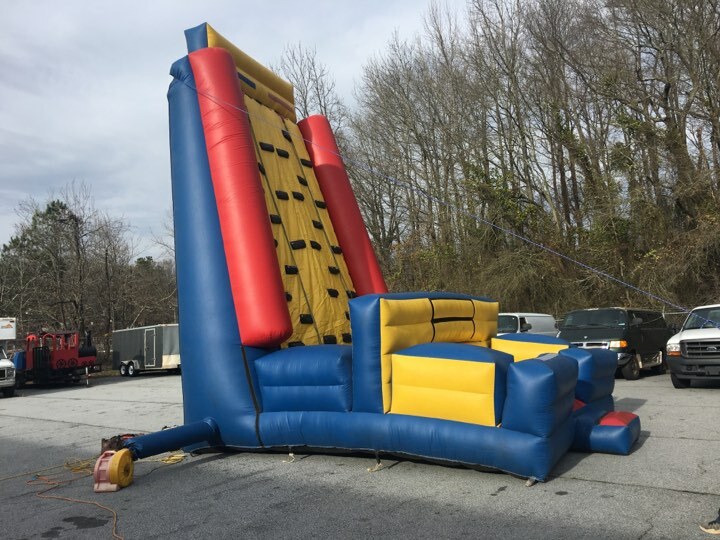 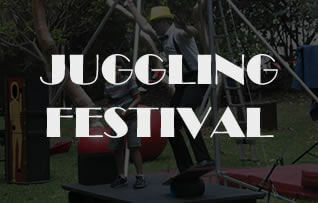 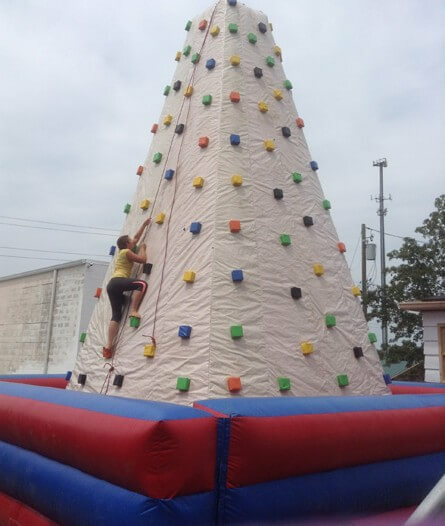 Our selection includes inflatable midway and carnival games, tri-cycle tracks and our famous inflatable rock climbing wall! 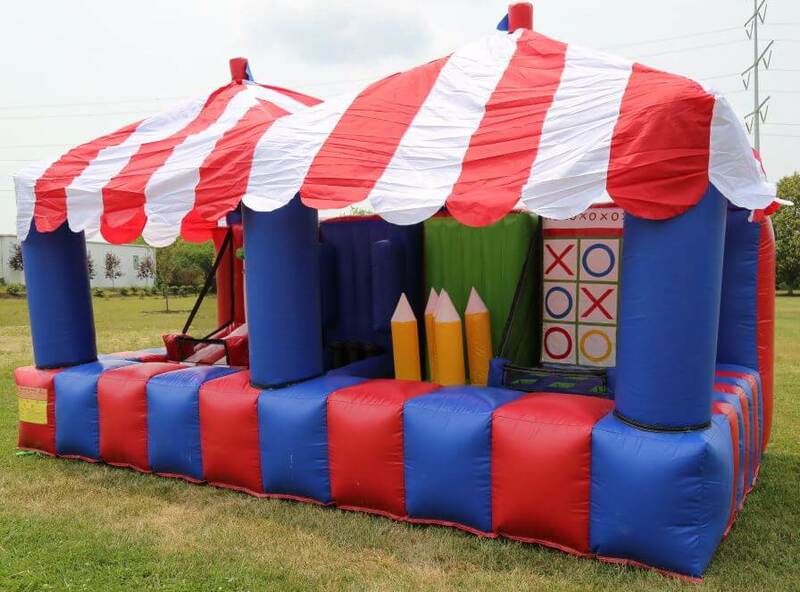 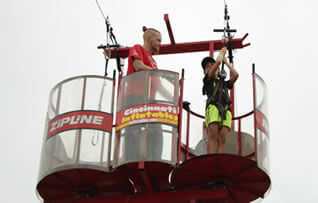 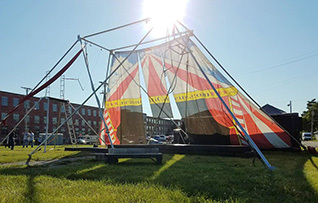 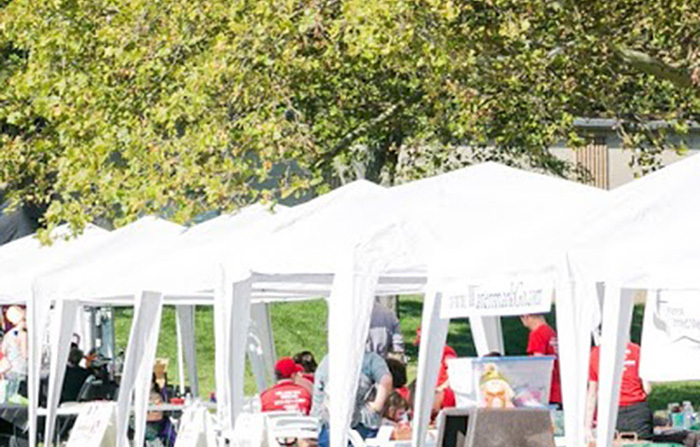 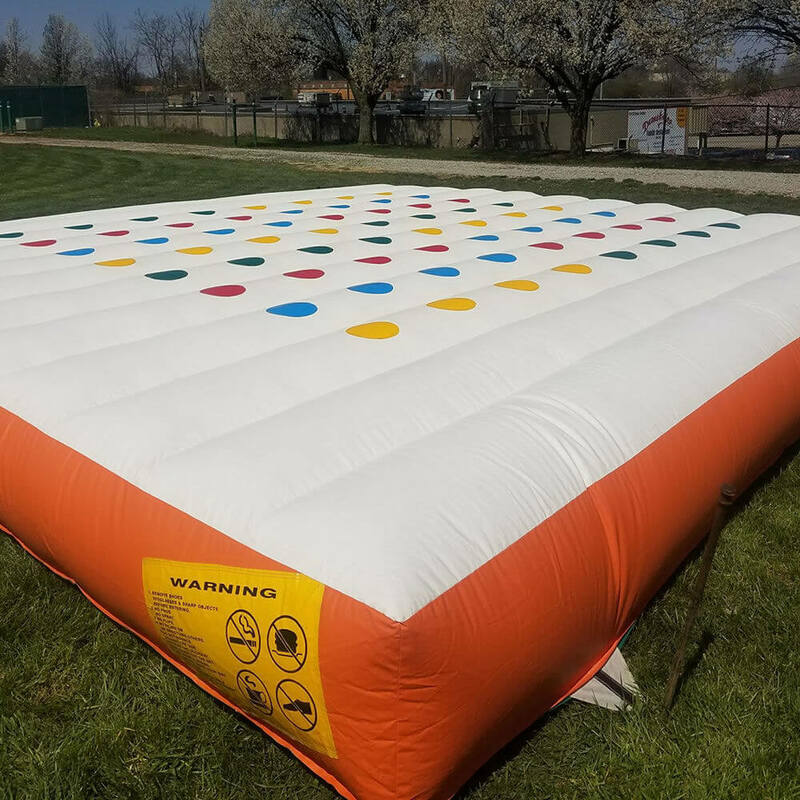 Safety always comes first with the Cincinnati Circus - we ensure that your inflatable bounce house, obstacle course, slide or water ride is securely anchored and in perfect working order. 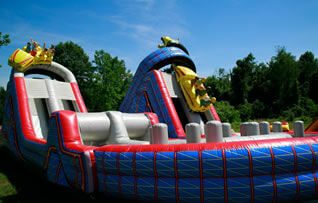 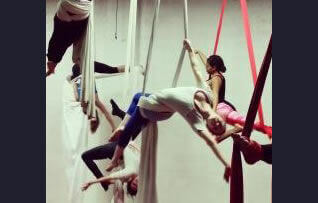 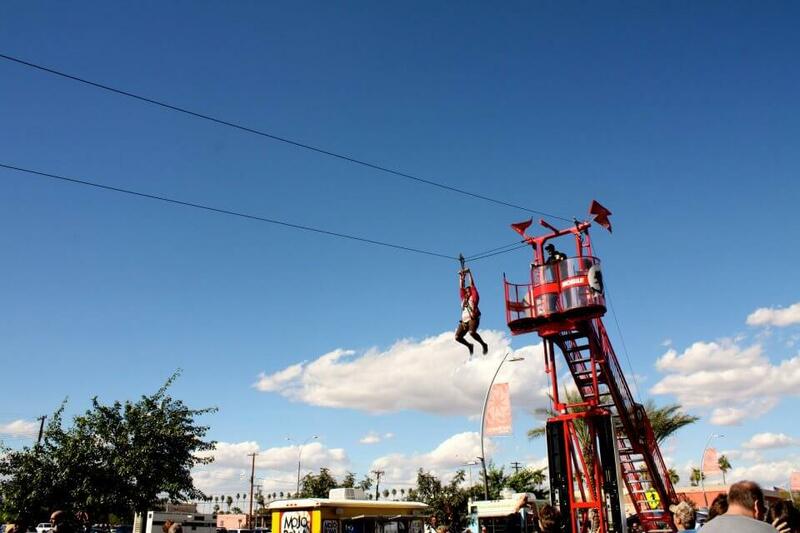 We also supply permission slips and attendants to make certain everyone has fun and stays safe.